Previous studies had found that microbes could thrive at the boundary where oil and water meet in nature, helping to break down the oil. 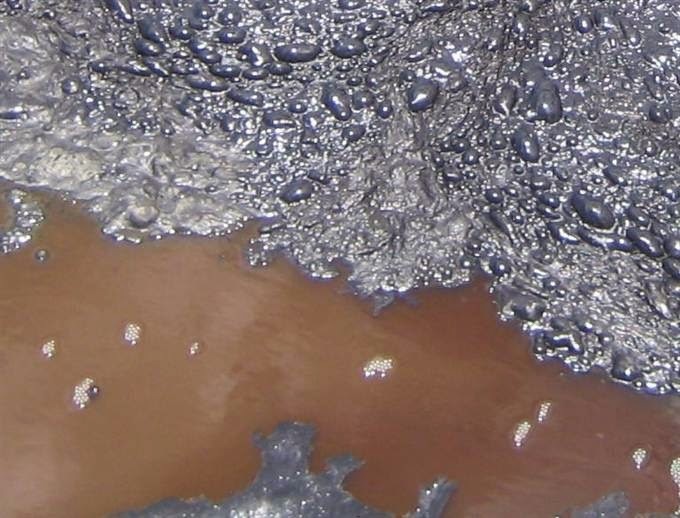 However, investigators had thought oil was too toxic for life, and that the levels of any water inside the oil were below the threshold for life on Earth. "Oil was considered to be dead,"said lead study author Rainer Meckenstock, an environmental microbiologist at Helmholtz Zentrum München in Germany. Now scientists have found microbes active within Pitch Lake, dwelling inside water droplets as small as 1 microliter, about one-fiftieth the size of an average drop of water. "Each of these water droplets basically contains a little mini-ecosystem,"study co-author Dirk Schulze-Makuch, an astrobiologist at Washington State University in Pullman, told Live Science.